As one of the most visited countries in the world, Japan is likely to be on your bucket list. 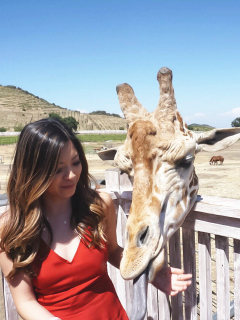 When visiting, you may feel like you’re in a completely different world. From high tech toilets, to towering skyscrapers, to quirky anime characters, you’re sure to go through a life-changing experience. There are so many interesting places to visit in Japan; like the serene Mt. Fuji and Kyoto’s ancient temples and shrines, as well as bustling cities like Tokyo. Japan is a wonderful place full of history and culture. 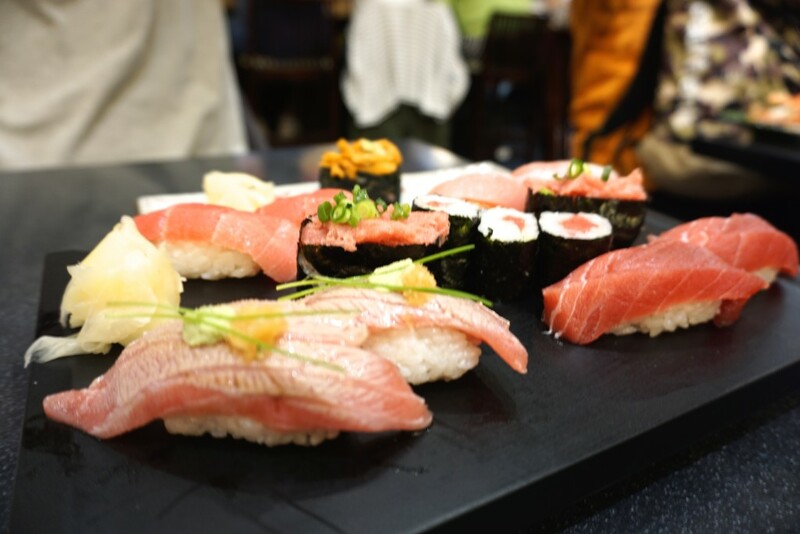 You will find yourself immersed in the culture while eating traditional cuisines and authentic sushi everywhere you go. 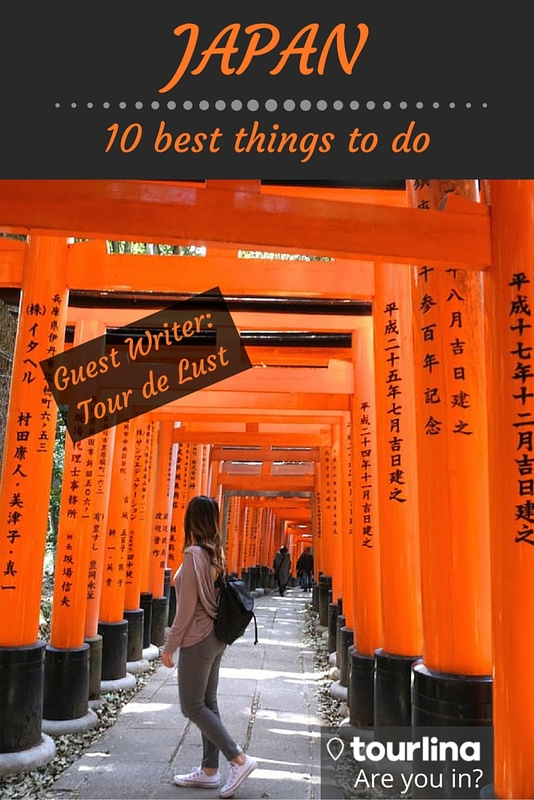 Here is a list of the 10 best things to do in Japan. Kinkaku-ji is a Zen Buddhist temple in Kyoto. 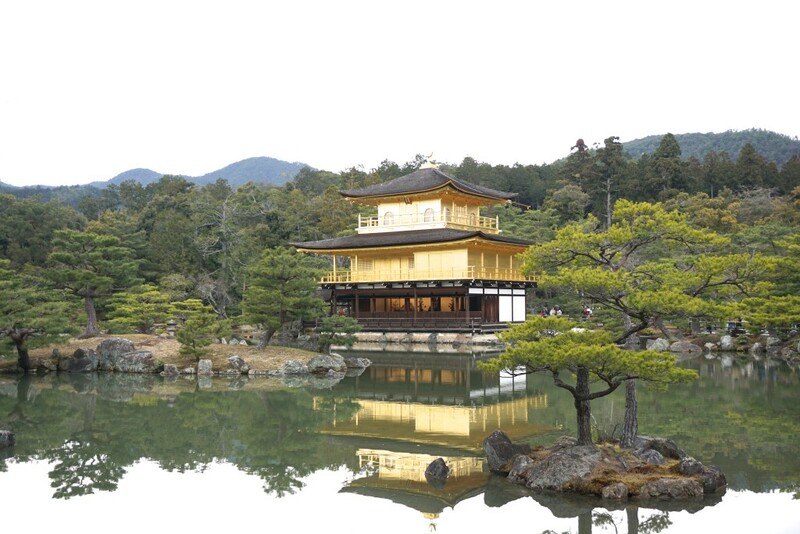 Also known as the Golden Pavilion, it is one of the most popular buildings in Japan. Tourists admire the beauty of the temple and the surrounding lush green backdrop. The top two levels are covered in gold leaf, leaving a beautiful calming reflection against the Pond. 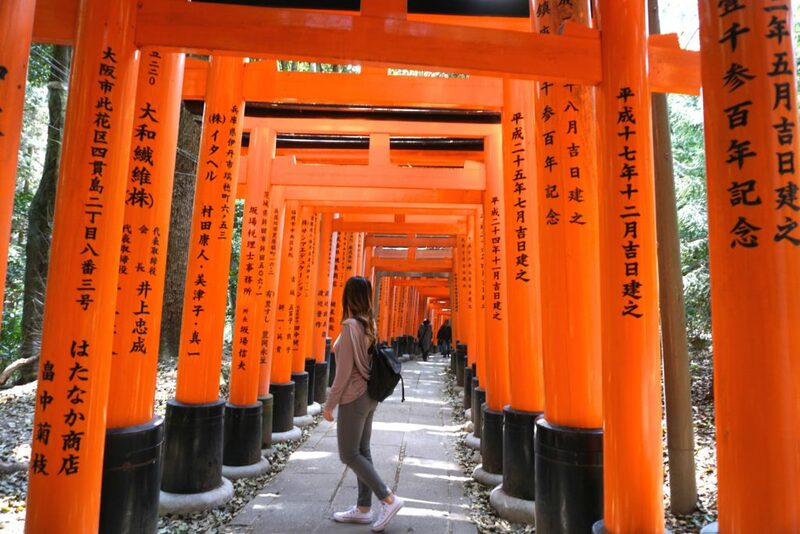 The red tori gates symbolize the entrance of the Fushimi Inari Shrine. This was one of my favorite sites to visit in Japan. The Inari Shrine sits on Mt. Inari and has thousands of tori gates leading to the hilltop, which takes up to 2 hours to walk, but is well worth the hike. From the top of Mt. Inari you are rewarded with breathtaking views of the city. Tokyo has the most attractive parks throughout Japan. A few of my favorites are: Shinjuku Gyoen, Meguro River, Yoyogi Park, Sankeien Garden and Chidorigafuchi Park. 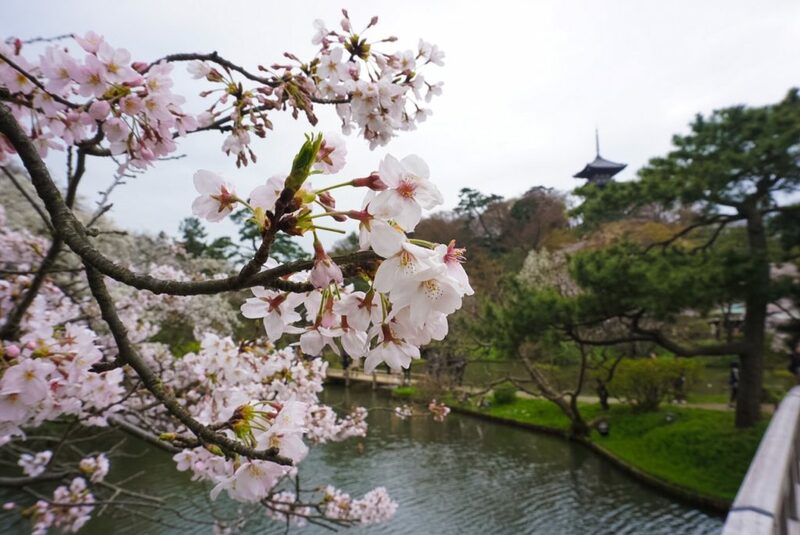 The best time to visit the parks is during Sakura season, where many cherry blossoms trees are planted throughout the grounds. Fall is also a great time to visit the parks to see the most beautiful foliage. 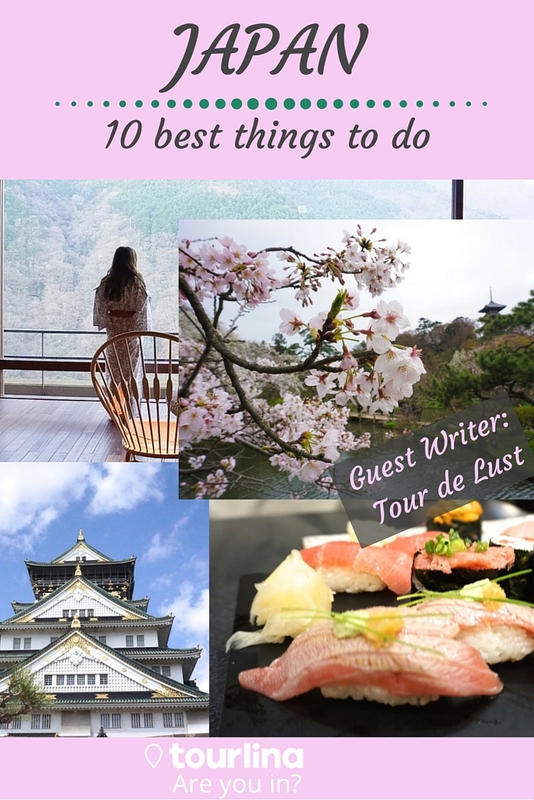 Dressed in a kimono and walking around a relaxing ryokan was my favorite experience in Japan. I highly suggest others to experience the traditional lifestyle and hospitality, as there is no other experience like it. A ryokan is a traditional Japanese inn that is mostly located around hot springs. It incorporates elements of tatami floors, Japanese style baths and traditional cuisines. Looking to get away from the city and unwind? 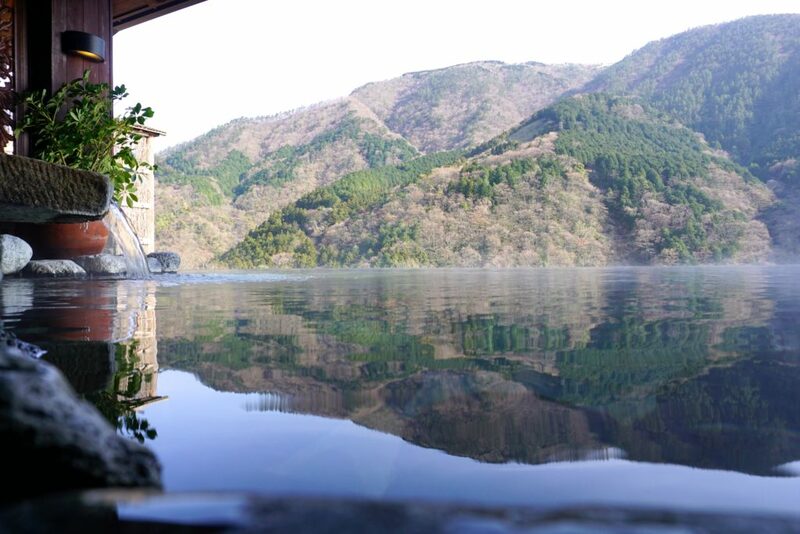 Visiting a hot spring or onsen is a relaxing and therapeutic way to spend a few hours or an entire day. There are many hot springs/onsens located throughout Japan. The best ones are the natural hot springs located near mountains like Mount Fuji. You can find public hot springs to use for a few hours or stay a night in a hot spring ryokan. 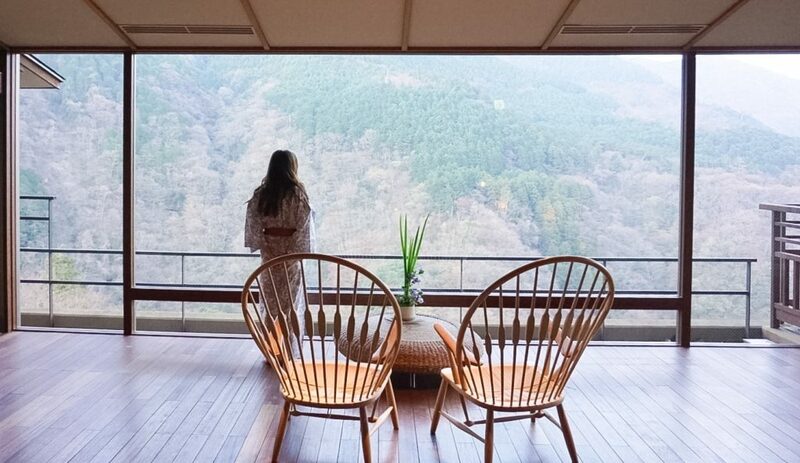 A day trip to Hakone is an easy trip to do from Tokyo. It takes an hour and a half by train. 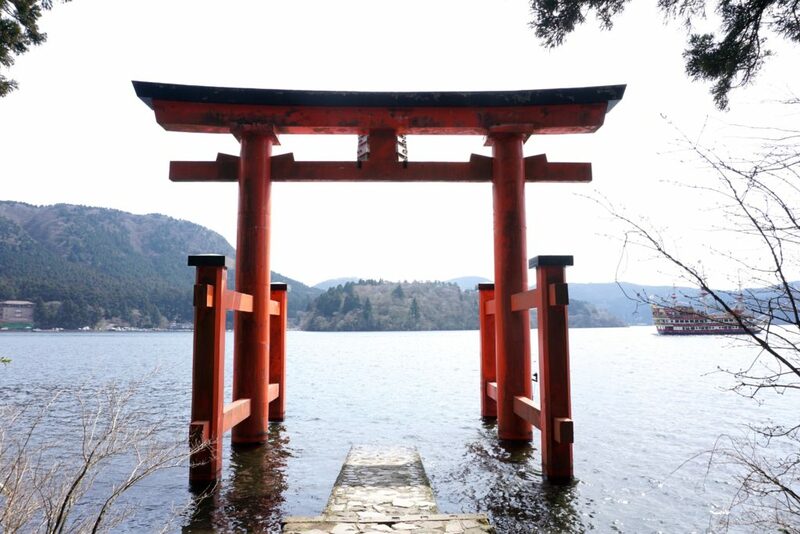 Take a walk along Lake Ashi and see the Hakone Shrine. From the bottom of Lake Ashi you may even see Mount Fuji on a day with clear skies, or if you have time, go on a hike and find the best views of Mount Fuji from the top of the mountain. The Hakone ropeway is also another great way to see Mount Fuji. The food in Japan is obviously amazing but the street food is one of the best! I found myself eating street food every single day. It’s surprisingly pretty clean too! 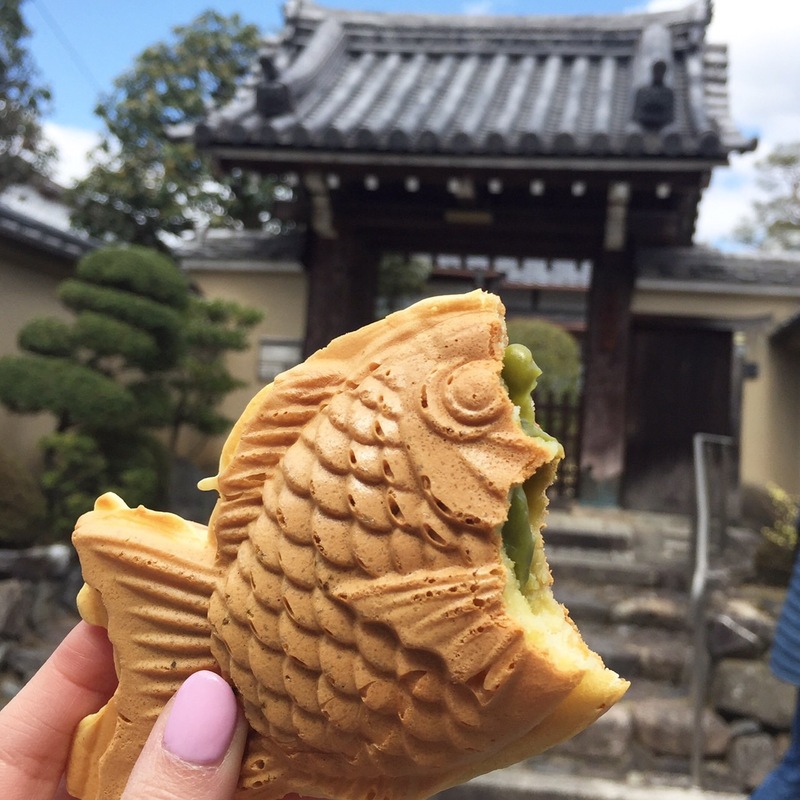 How delicious does this Taiyaki look? Taiyaki is a Japanese fish shaped filled pancake. A few of my favorite street foods are Dango, Ichigo Daifuku, Takoyaki, Okonomiyaki and Crepes. 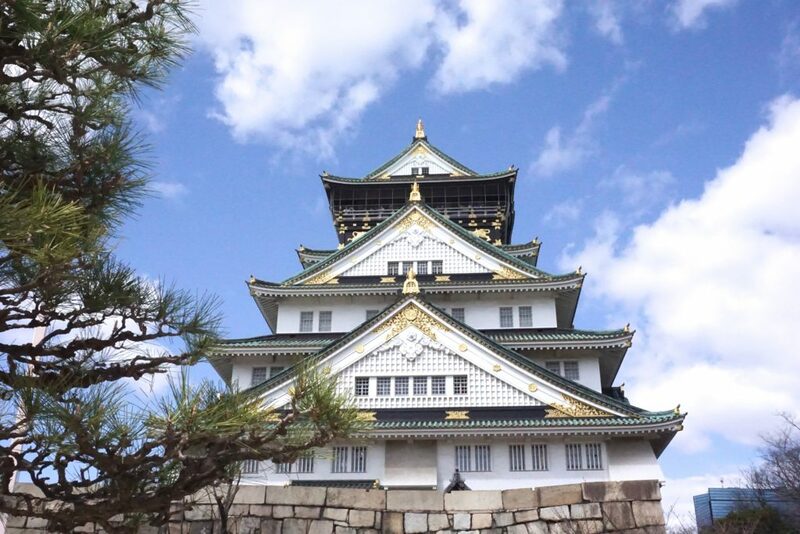 With many things to do, Osaka Castle is one of the most iconic monuments in the city. It is a late 16th century castle with a museum inside and provides panoramic views from the top of the castle. Osaka is Japan’s third largest city with great nightlife and amazing street food. 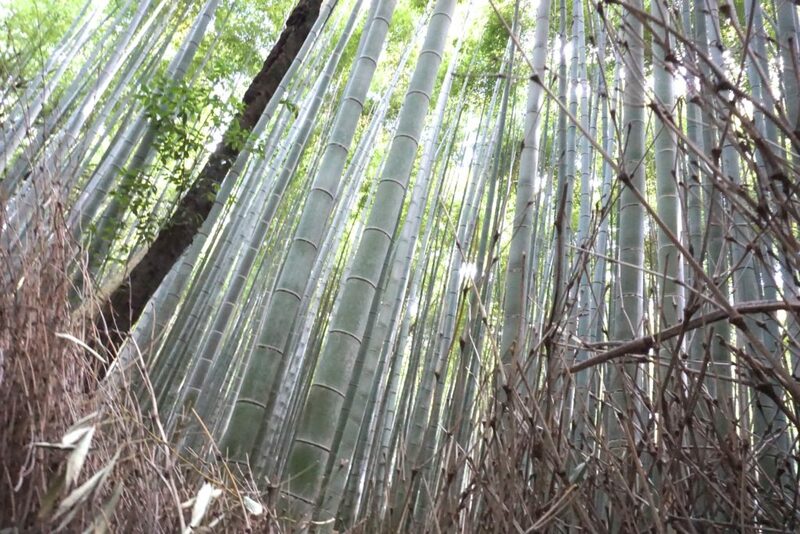 The Bamboo Groves in Arashiyama is a must visit while in Japan. The thick green bamboos seem to grow endlessly into the sky. Take a few moments while walking through the forest to listen to the wind rustling through the bamboo leaves throughout this magical forest. This place gets fairly crowded with tourists, so a visit early in the morning is best. No trip to Japan is complete without a visit to the Tsukiji Fish Market for their sushi breakfast! Tsukiji is the world’s largest and busiest fish market, with the best sushi in the world! I’ve heard that the live tuna auction is a must! It is on a first-come, first-serve basis and has limited tickets each day, but you must arrive by 4am to secure your spot.